An inaugural donation from the Irving K. Barber Learning Centre towards Barkerville Historic Town’s Chinese Language Collections digitization project has ensured the living history museum’s extensive and irreplaceable collection of pre-1900 written Chinese documents (the largest in North America specific to North American activities) will remain virtually indestructible – and accessible – for generations to come. The Irving K. Barber Learning Centre contributed funds towards the digitization of more than 11,000 pages of unpublished, hand-written materials such as letters and poems. Documents cover the Cariboo region from 1860-1958 and will ultimately be mounted onto Barkerville’s website (www.barkerville.ca). The people of southern China still feel incredibly connected to the “Overseas Chinese” who left Guangdong Province in the late-19th and early-20th centuries. Money they sent back to their families and to support a variety of charitable organizations changed the face of Guangdong, resulting in significant economic and social development. Much of the interest is on a more personal level, though, and there is a sincere desire to know more about the emigrants: the work they did, how they lived, and where their remains were buried. Nearly 75% of the southern Chinese men who came to gold rush North America never returned, but many modern Chinese citizens have at least one such ancestor who continued to send familial support to China. Barkerville has been praised by Chinese officials for its excellence in preserving and presenting the history of the Chinese immigrants. The National Historic Site’s buildings, photographs and archival material tell stories that have been lost on the other side of the Pacific. “The Irving K. Barber Centre is pleased to support and develop partnerships with memory institutions around the province such as Barkerville Historic Town to digitize and promote access to their unique holdings,” said Chris Hives, Project Coordinator for the Irving K. Barber Learning Centre. The Irving K. Barber Learning Centre is a part of the University of British Columbia Library and supports teaching, learning and community engagement both within UBC and throughout British Columbia. The BC History Digitization Program, through which Barkerville has received its first gift from the Irving K. Barber Learning Centre, promotes increased access to BC’s historical resources through digitization projects that result in free access to our unique provincial historical material. 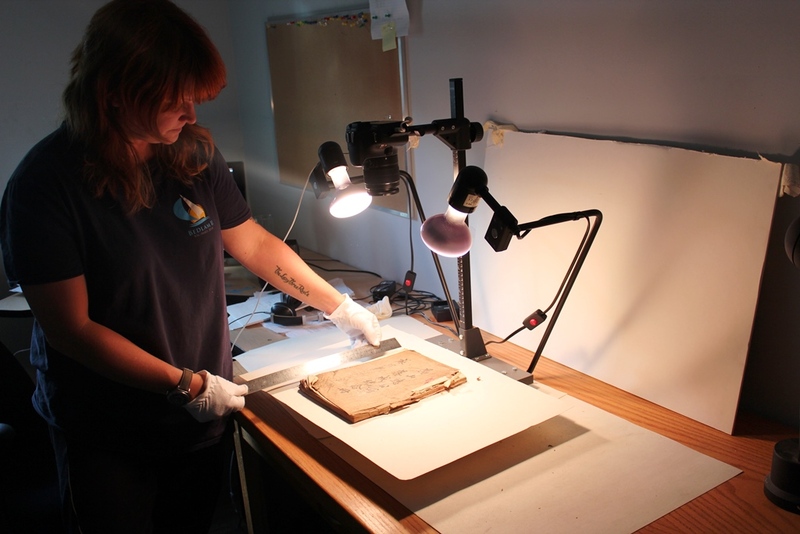 For information about the digitization of Barkerville’s Chinese Language Collections, or any of Barkerville’s ongoing curatorial projects, please contact Mandy Kilsby, Curator, at 1-888-994-3332, ext. 35, or email mandy.kilsby@barkerville.ca.